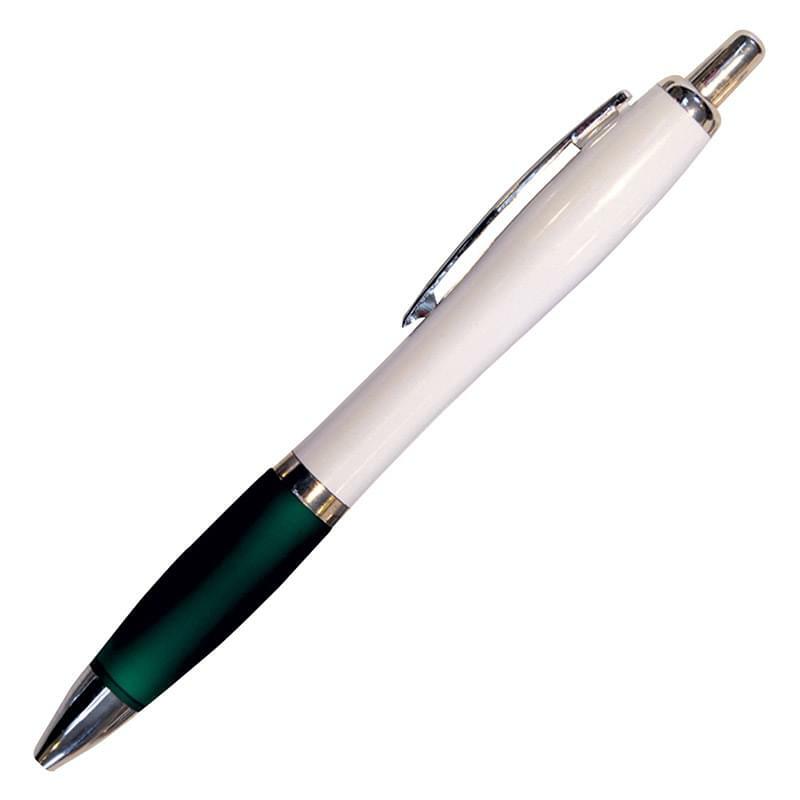 This exciting pen with white colored barrels, and yes, the barrels are contoured and curvaceous with chrome clip and trim. Also notice the round ring between the barrel and grip area. 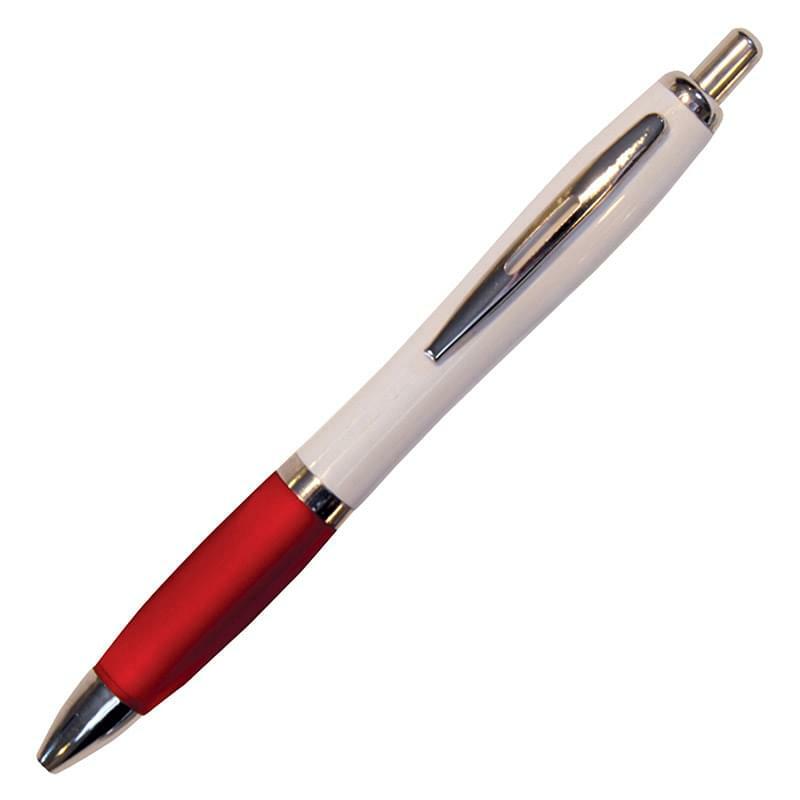 You’ve seen this hourglass shaped pen before, but with new lower pricing, it will definitely meet your budget requirements.